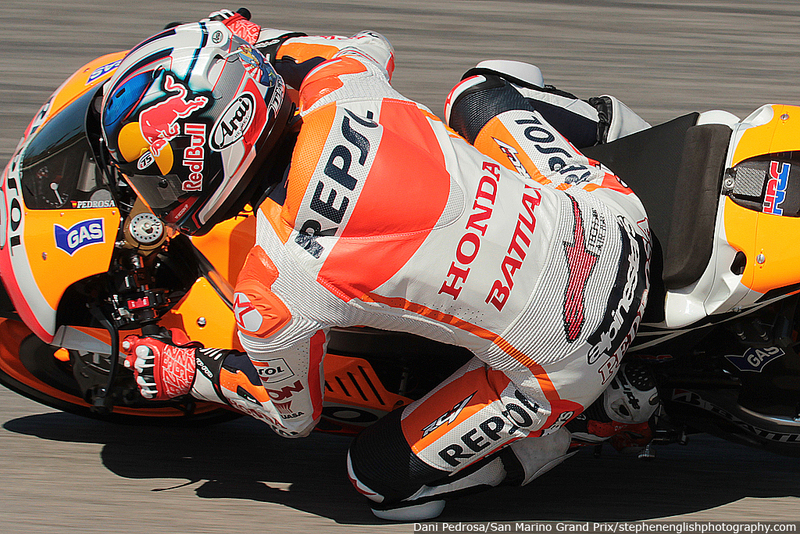 Dani Pedrosa ended the day fourth fastest but another one of a kind mechanical issue almost caused him to crash in FP2. Just two races after his clash with Marc Marquez in Aragon caused HRC’s rear wheel speed sensor became the centre of attention in today Pedrosa’s engine mounting bolt was the issue. 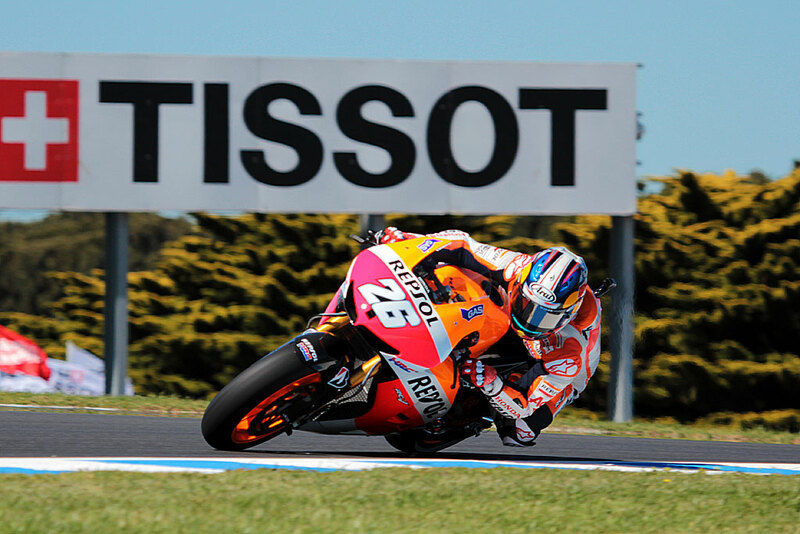 This entry was posted in MotoGP, News and tagged Aragon, Dani Pedrosa, Grand Prix motorcycle racing, Honda, Jorge Lorenzo, Marc Marquez, Pedrosa. Bookmark the permalink.